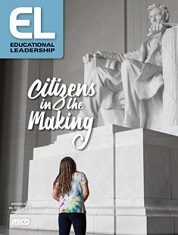 By using case studies to discuss ethical dilemmas with their colleagues, educators can better prepare to address political and civic challenges in their schools. Educators have become increasingly stymied by the challenges of teaching both in a democracy and for democracy, thanks to the breakdown of commonly held civic and democratic norms. Whether during the 2016 presidential primaries, when a number of candidates made racist, misogynistic, and xenophobic claims, or during the opening days of school this fall after President Trump rolled back his condemnation of those marching with neo-Nazis in Charlottesville, many educators are grappling with the shifting bounds of acceptable political speech in the classroom—regardless of their own party affiliation. While educators should feel confident in condemning white supremacists and neo-Nazis, they understandably find it harder to respond to students who echo other worries about and mistrust of particular groups, such as immigrants, Muslims, refugees, or Hispanics. Depending on how students express their concerns, they may directly violate district and state anti-bullying policies. Their comments may also violate civic democratic norms that schools have been committed to teaching for decades: norms of mutual respect, anti-racism, civic equality, and religious freedom. As educators and school leaders consider challenging these students' statements, however, they may face the risk of backlash for seeming to take partisan stands. After all, how can students be redirected or punished when they are merely reiterating language that national political leaders have used at campaign rallies and in debates?